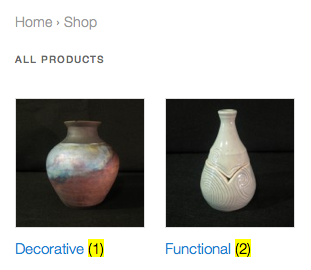 Can the shopp plugin present products in their categories but with a breakdown like so? 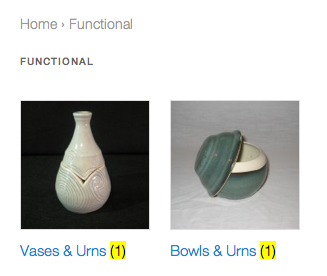 This is how woocommerce does it. 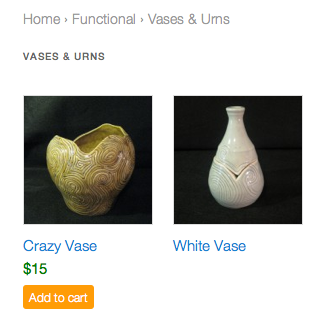 Then clicking on “Vases” finally brings up the items in the “Vases” category.